Minimal, minimal, minimal, minimal, minimal… thud crack, thud crack, thud crack, thud crack… Quite literally. Detroit pioneer and godfather of stripped futurism Robert Hood delivers the update to last year’s album, Omega, which comes in the shape of this live set. New versions of old tracks are included, along with some fresh material. Minimal, Minimal is an example of the latter, provided the inspiration for this review’s opening gambit, and sums the album up with a simpleton’s wit. The inventor of less is more techno’s ode to his own niche is brazen in attitude, and serves to remind us all why this often retiring, decade spanning DJ is still one of the only names to have worked in the sub genre worth any attention. So that will be one part hammering four four, and another dirtiness, whether you’re talking about Unix:Alive and its analogue dub hook (a feature that dominates the sparse arrangement), the industrialist snares of Side Effect (perfect for any warehouse), or the frantic opening taunt that is Bells At Dusk (a ten minute lesson in suspense). If Detroit is too obvious an answer then we will go with proper sweat pits. James Ruskin makes a welcome, and logical appearance, providing a bonus track with his reworking of Alpha, which rolls, grows, grooves and generally provides interested ears with something in between Sandwell District and Ben Klock. Although that isn’t too surprising, considering what the remixer and original producer usually sound like. Who Taught You Math? 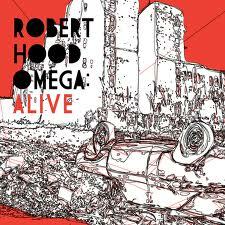 : Alive will jog a few memories, it being one of the standout tracks on Hood’s Fabric mix. Here it’s just as disjointed, mechanical, but surprisingly funky, benefiting from a few extra accents on the high to bring it in line with more shuffling rhythms. If forced to pick though we’d probably lean towards Minus:Alive as pick of the crop, purely due to the chilling keyboards, space age melody, and somewhat proggy edges, which when coupled with some acid drum rolls make for quite a commanding experience. This being our man Hood we’d say it’s up to you to prove why it isn’t worth the money.